Coconut Water To The Rescue? Parsing The Medical Claims : Shots - Health News According to some companies, coconut water is the ideal treatment for dehydration and "can be safely injected directly into the bloodstream." 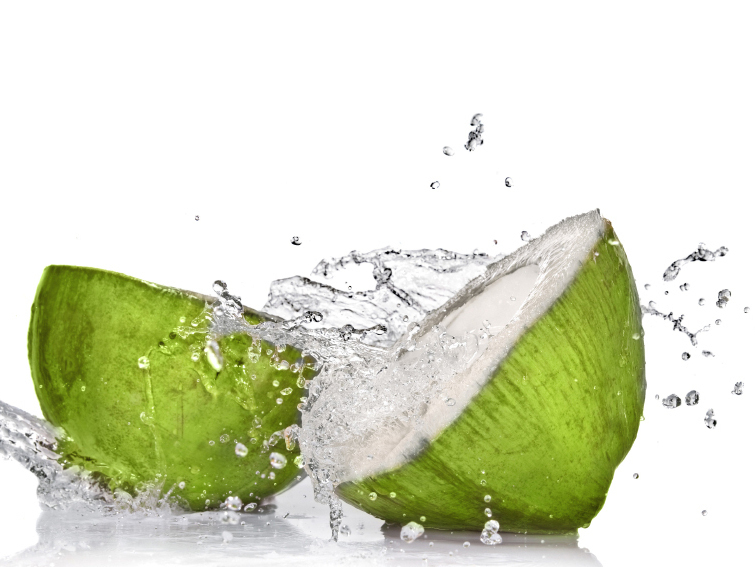 We ask doctors whether they'd ever recommend coconut water to patients. Is coconut water superior to water and IV solutions? Hydration is something we're inclined to worry about in the summertime, when we sweat more and can be at risk of heat exhaustion if we don't get enough fluids. And while most doctors say water is the ideal fluid for rehydrating, coconut water, the latest faddish recovery drink, is being heavily marketed as "more hydrating" than H20. Some companies allege that doctors even prefer coconut water to other solutions when treating dehydration. Coconut water is "identical to human blood plasma," says YoungCoconuts.com, and "can be safely injected directly into the bloodstream," according to BodyEcology. When coconut water finally hit the U.S. market, Chutkan was thrilled to discover it tasted pretty close to the real thing. Eventually she began to suggest it to her patients, many of whom have had their colons removed and struggle to stay hydrated. (The main function of the colon is to absorb water.) People with conditions like colitis from Crohn's disease and gastroenteritis can lose a lot of water in diarrhea, too, Chutkan said.